The technology, developed in partnership with Comcast, is currently limited to a handful of LG and Samsung phones on T-Mobile and its Metro brand, according to Reuters. Authentic callers are marked as "verified," making it easier to figure out which calls to answer and which to ignore. T-Mobile is relying on a standard called "Secure Telephony Identity Revisited (STIR) and Handling of Asserted information using toKENs (SHAKEN)." In fact it ultimately had little choice, since U.S. Federal Communications Commission Chairman Ajit Pai told carriers in February that he would intervene if they failed to implement STIR/SHAKEN by the end of 2019. T-Mobile is however the first American carrier to do so. AT&T should follow suit, since it tested a cross-network STIR/SHAKEN call with Comcast in March. Robocalls have become epidemic in the U.S., now averaging over 168 million per day by YouMail metrics. Some 40 percent of that is thought to be scams. Especially troublesome are so-called "neighbor" scams, which masquerade as calls from a person's area code. This makes it difficult or impossible to tell whether a call is from a legitimate friend or business before picking up. 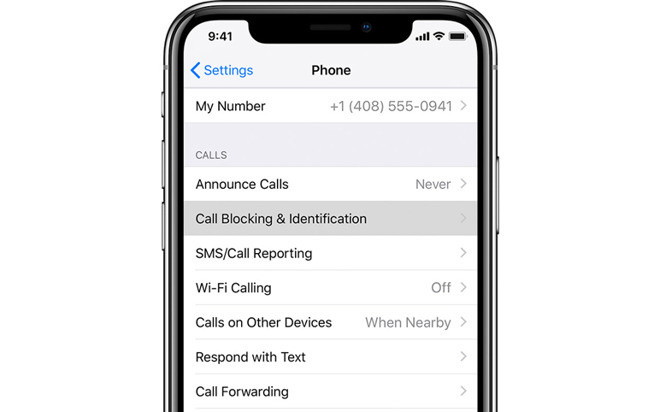 iPhones already have call blocking and ID features as of iOS 10, and there are other countermeasures you can take, but these require downloading third-party apps like Hiya and aren't 100 percent effective — in large part because of spoofing tactics.